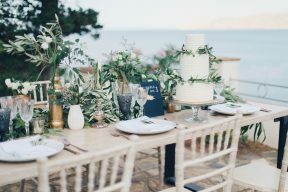 So many couples are choosing to take their wedding abroad to take advantage of the warmer weather, and a better guarantee of sunshine – especially when your vision is a garden wedding! 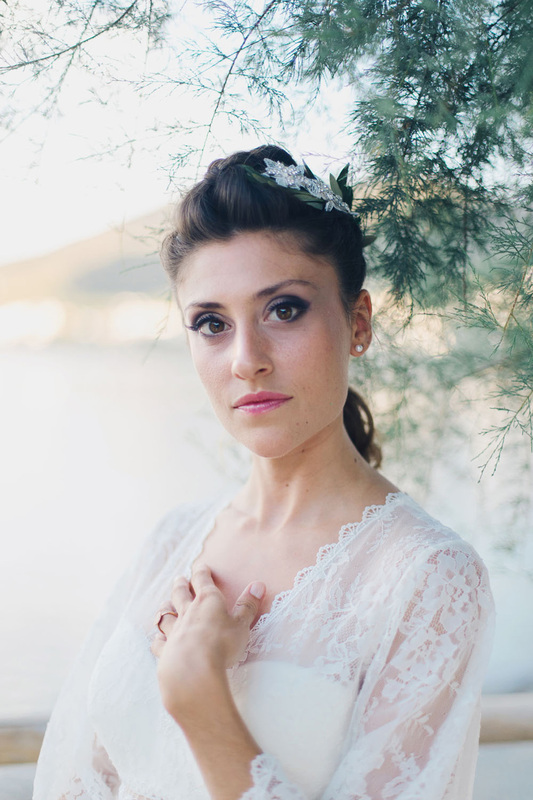 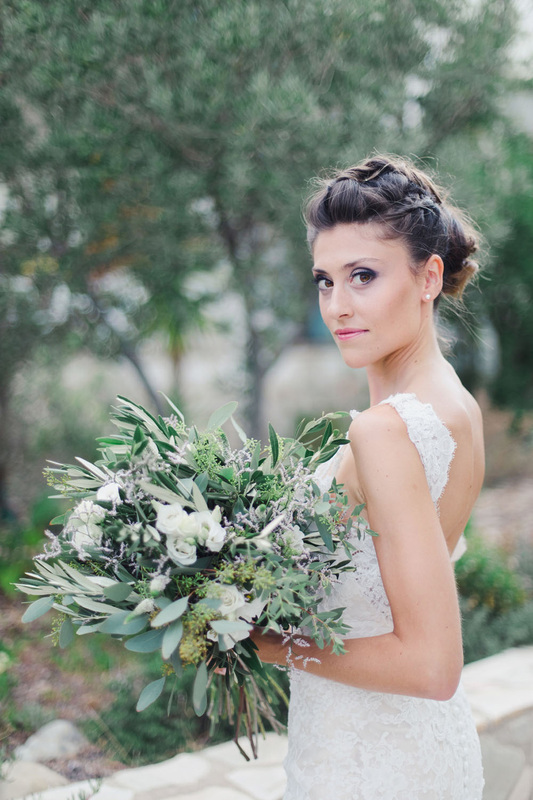 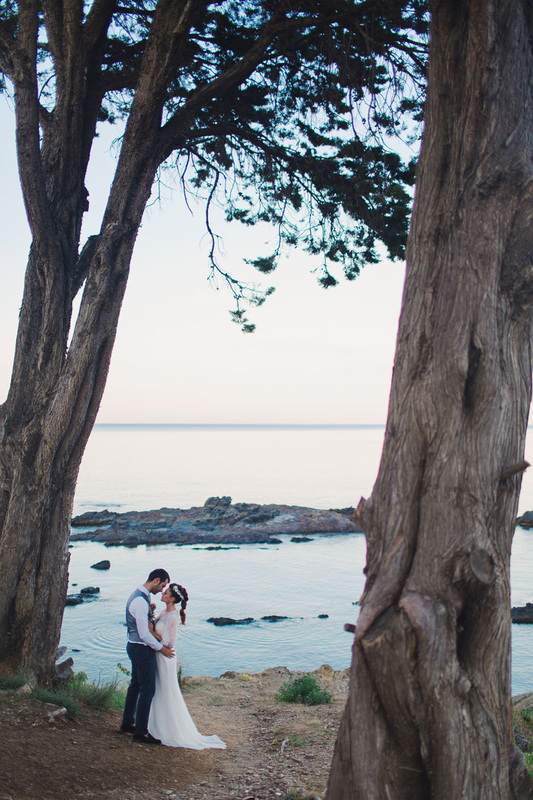 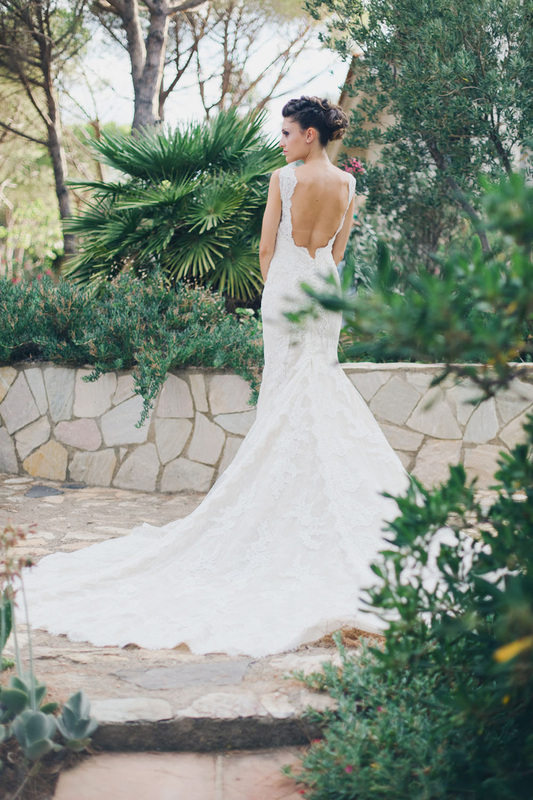 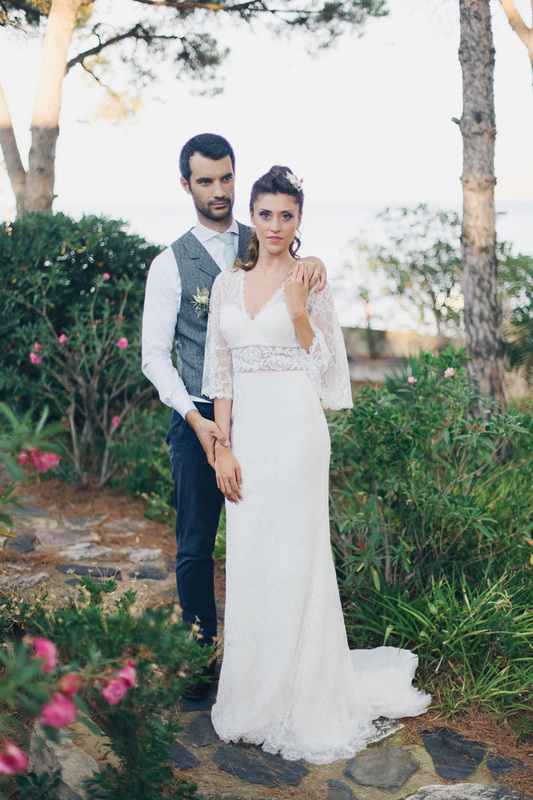 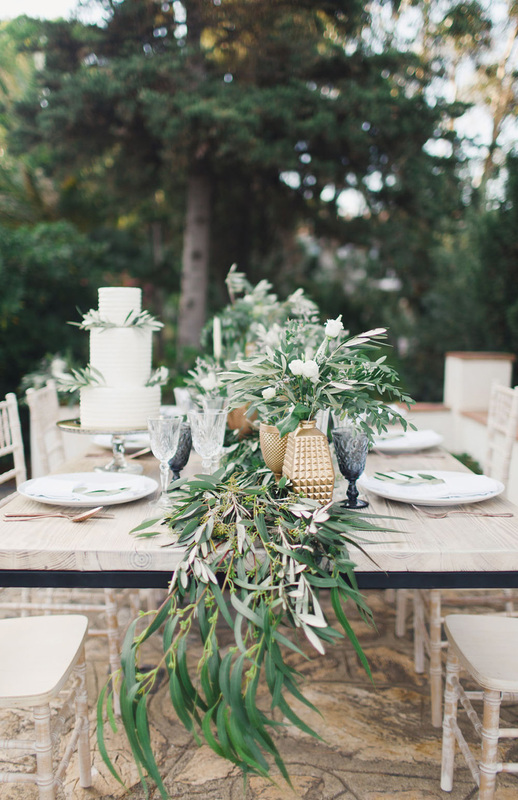 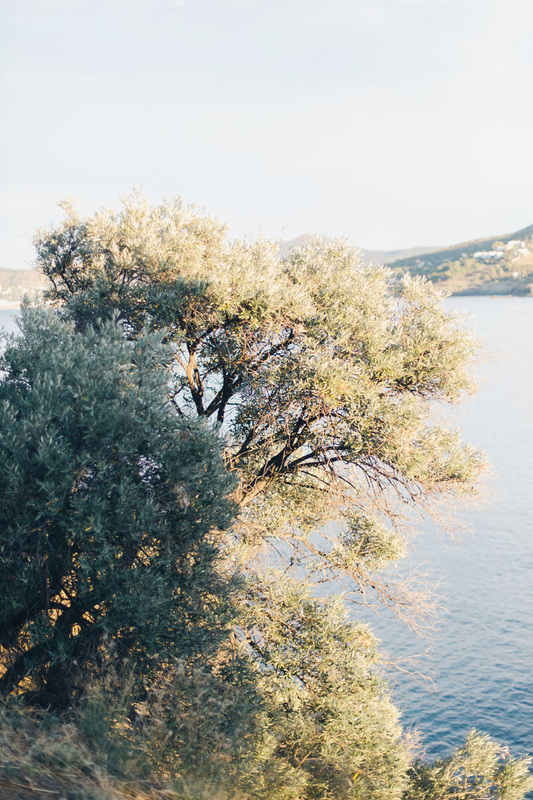 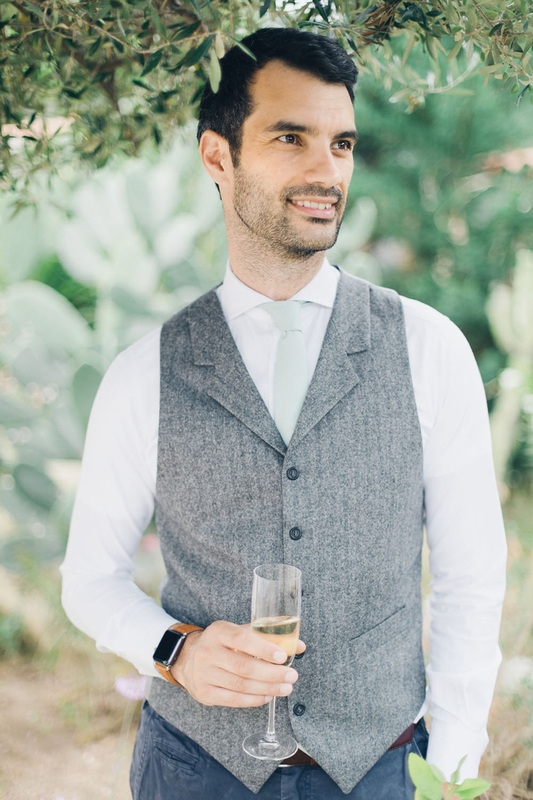 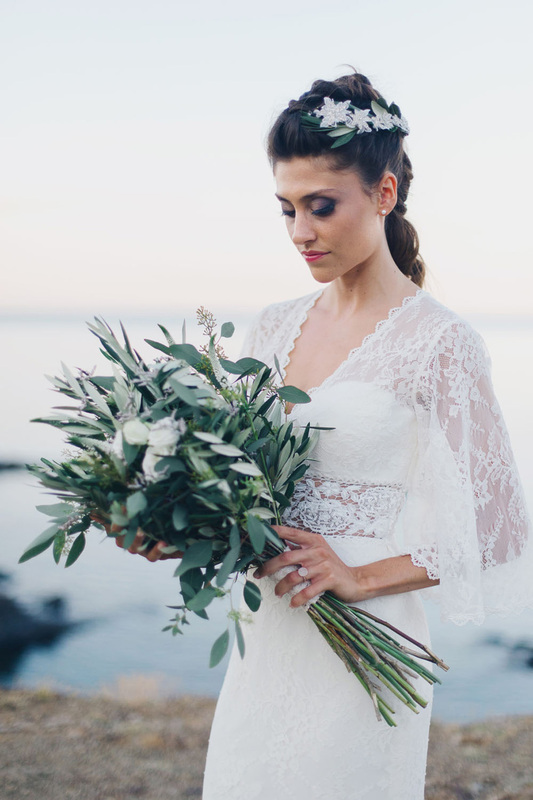 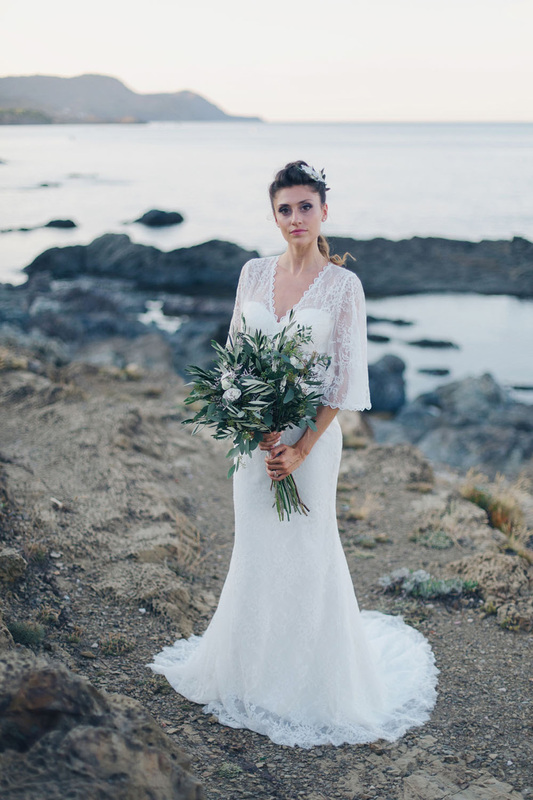 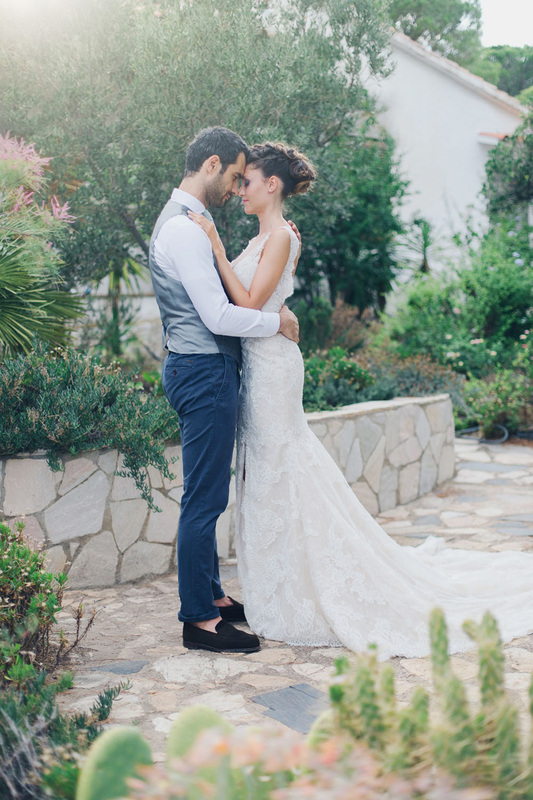 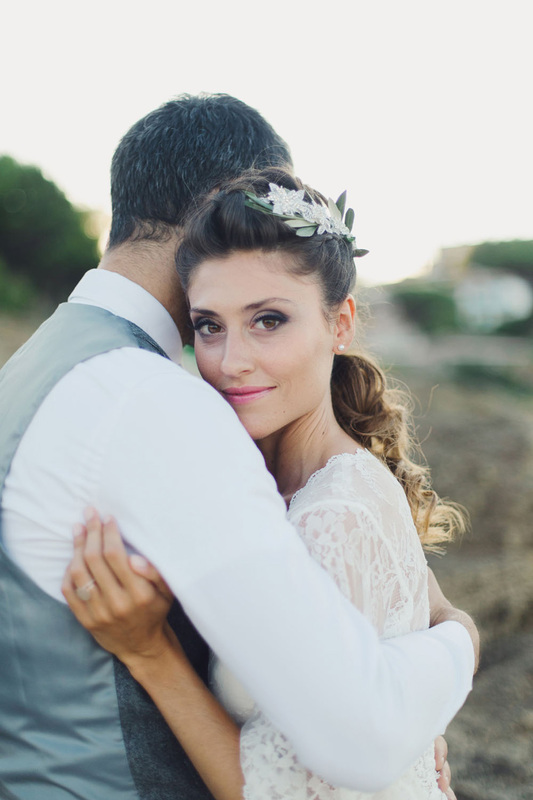 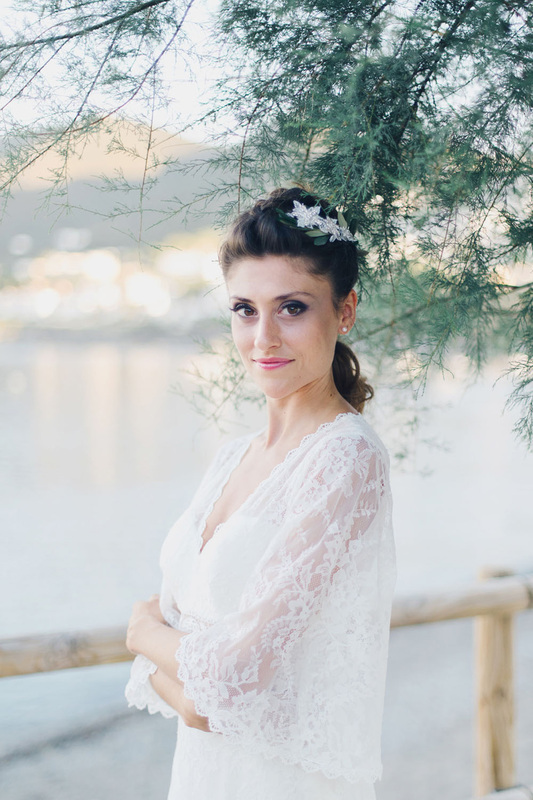 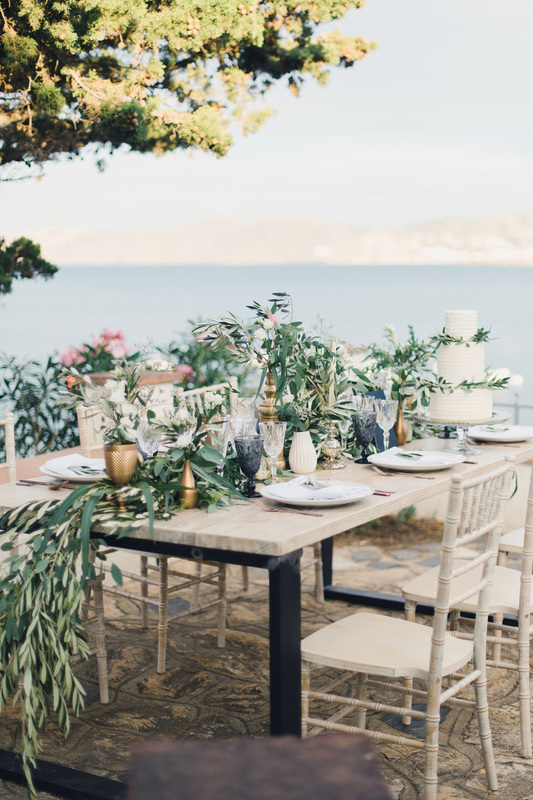 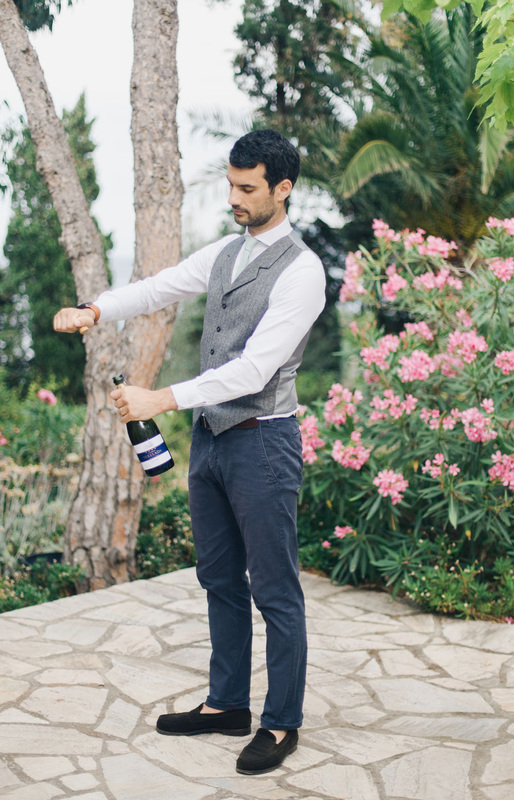 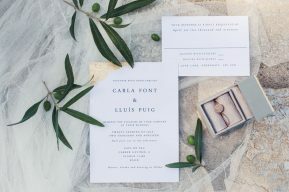 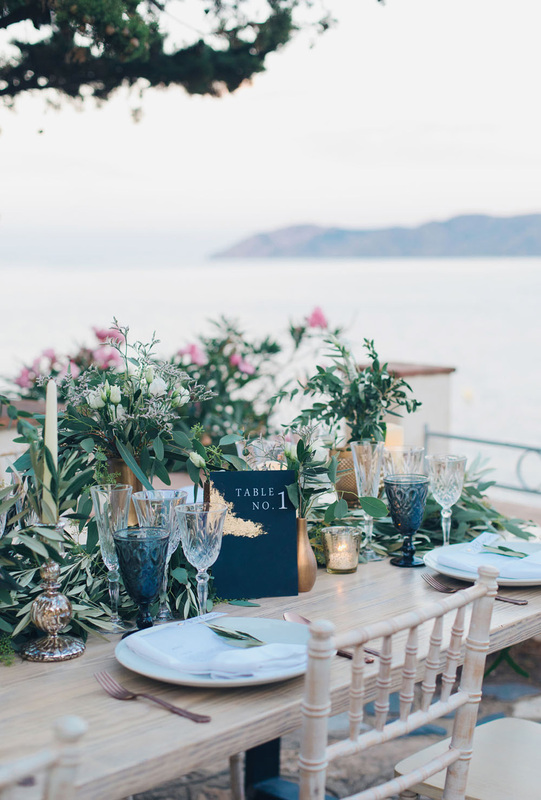 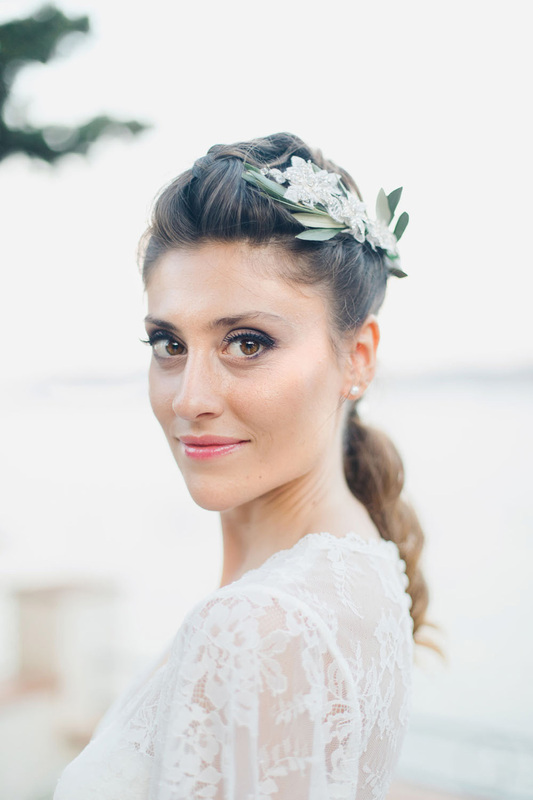 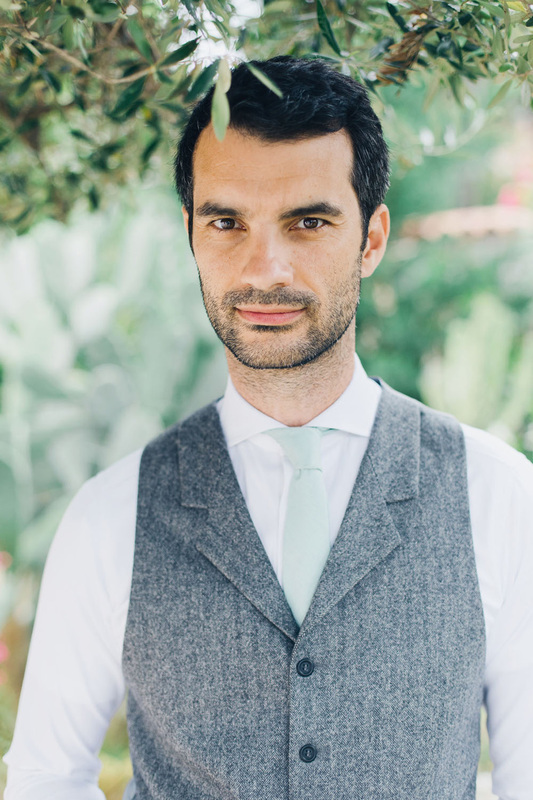 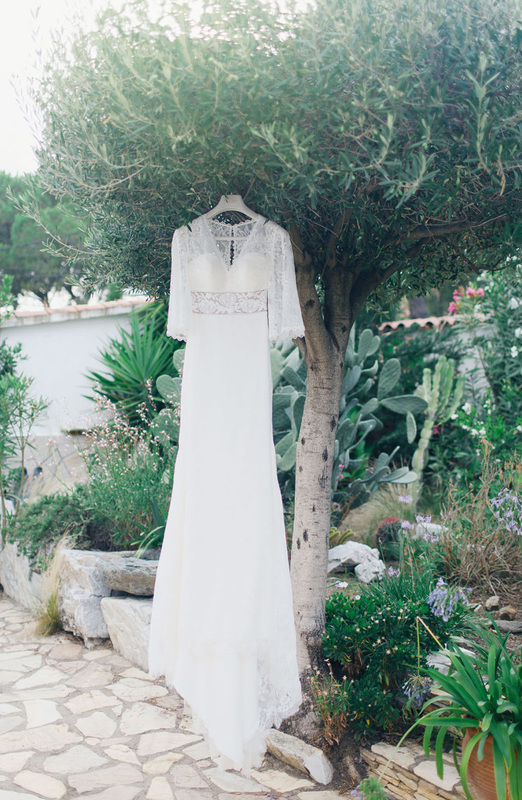 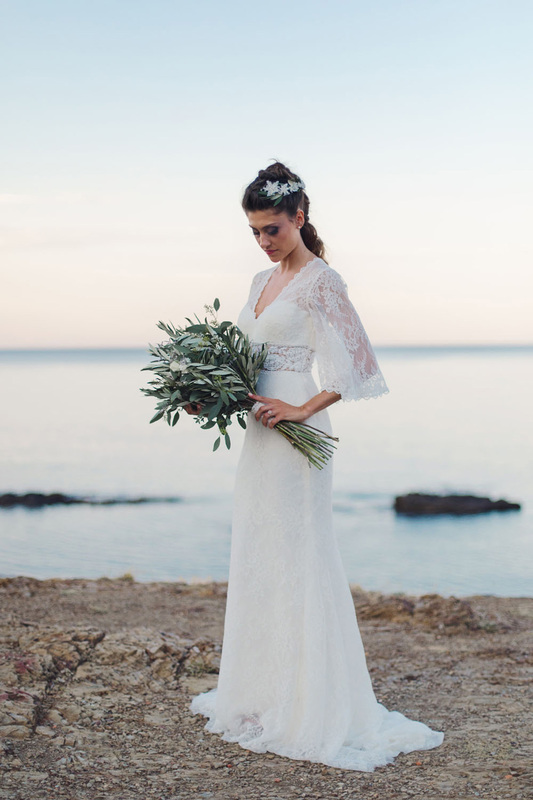 Photographer Nina Wernicke shares her vision of a Mediterranean garden wedding in beautiful Catalonia, for ocean views, and great scenery with La Clau Events! 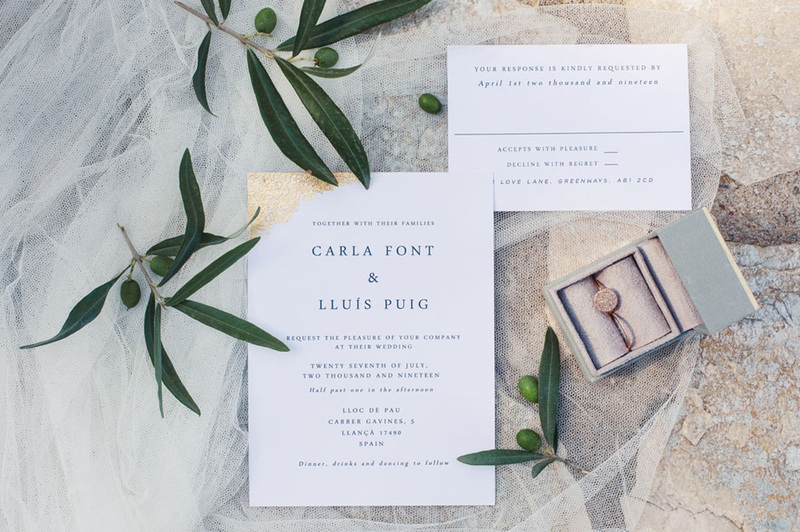 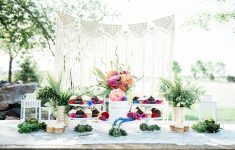 “This styled shoot took place in Northern Catalonia, Spain in the garden of a private family mansion called “Lloc de Pau”, meaning “place of peace” in Catalan. 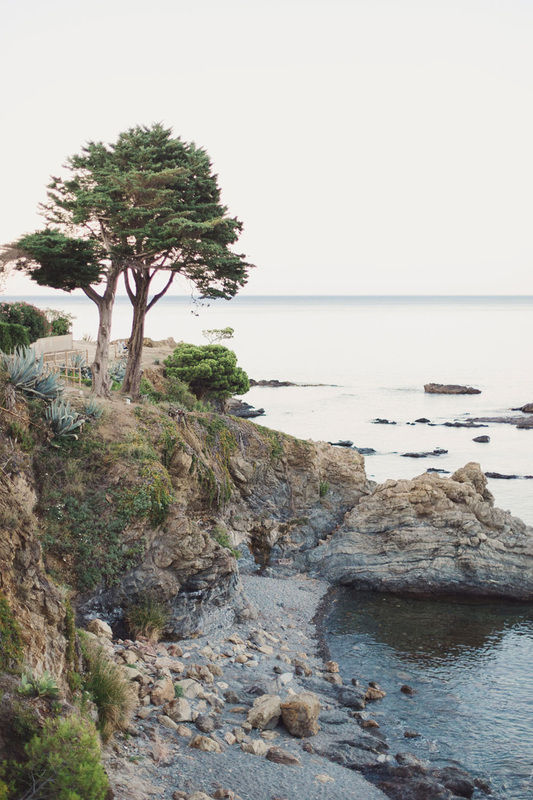 The house is located right by the beach. 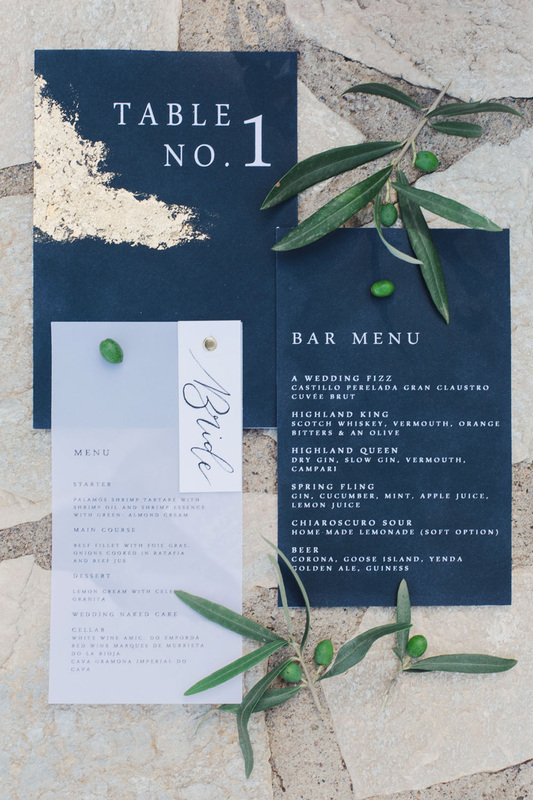 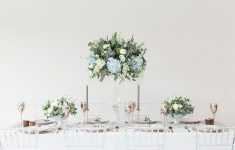 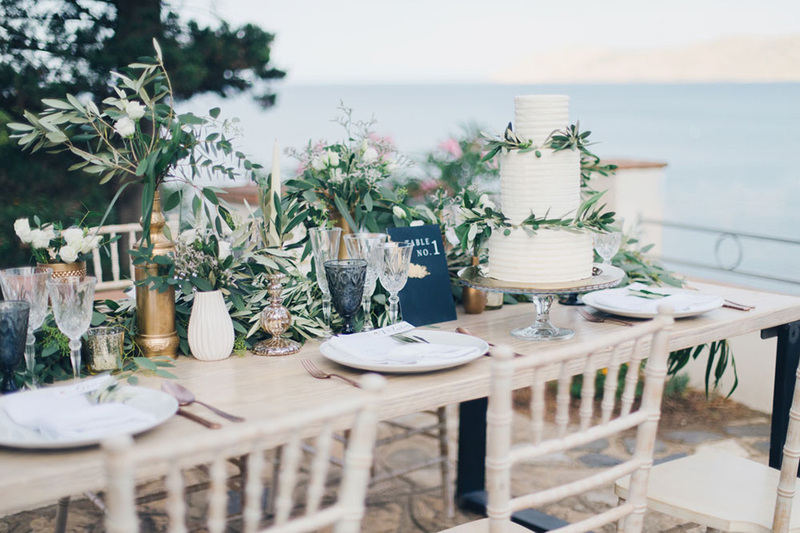 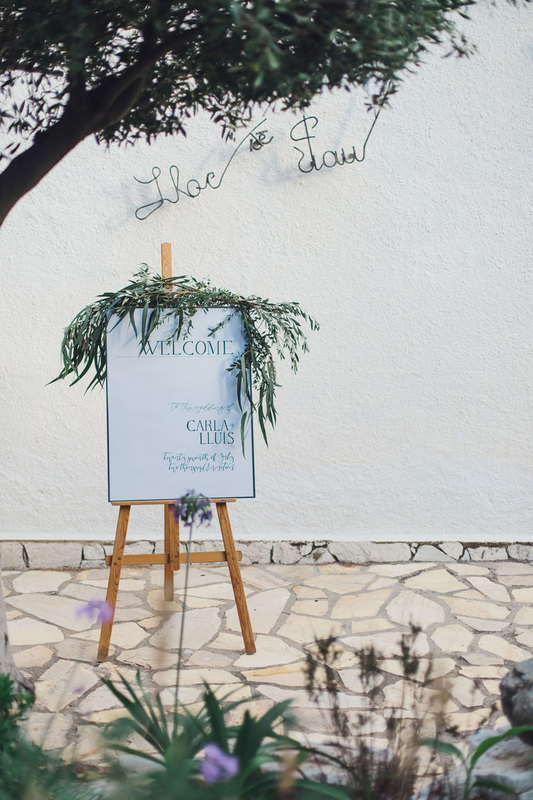 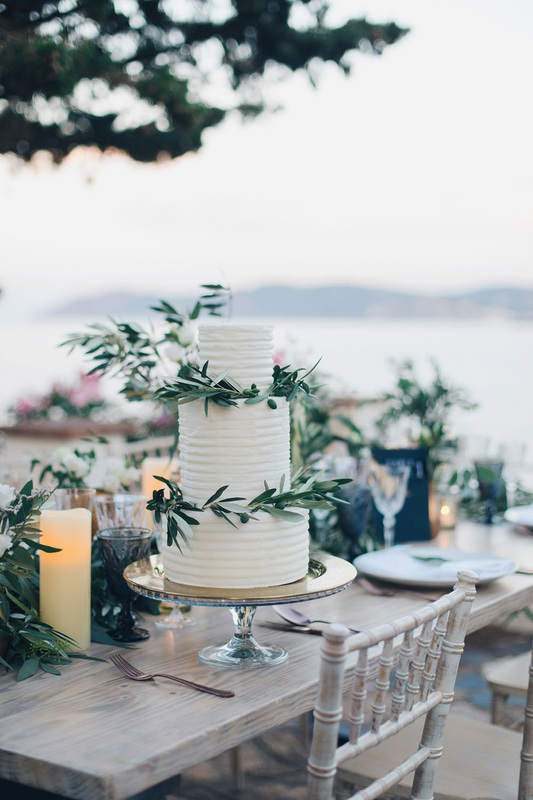 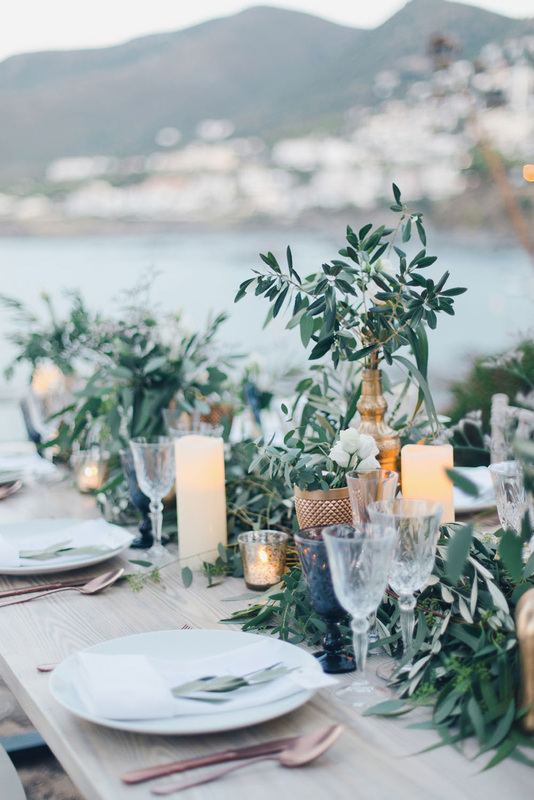 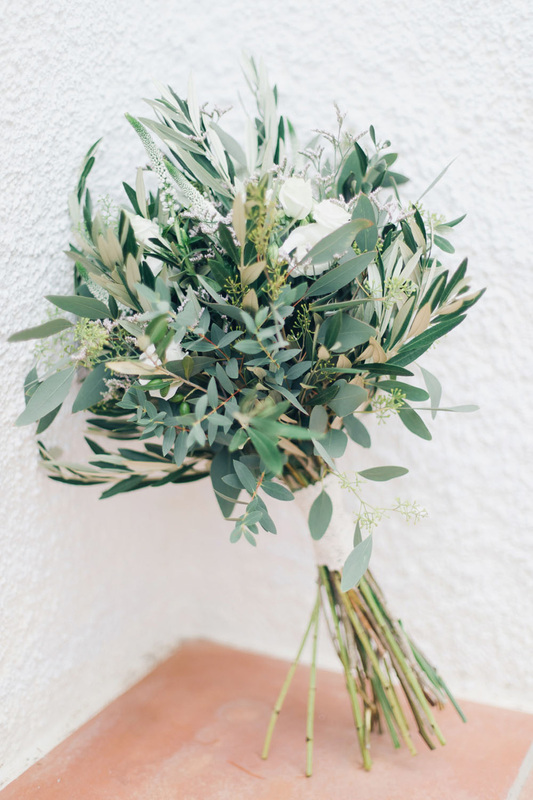 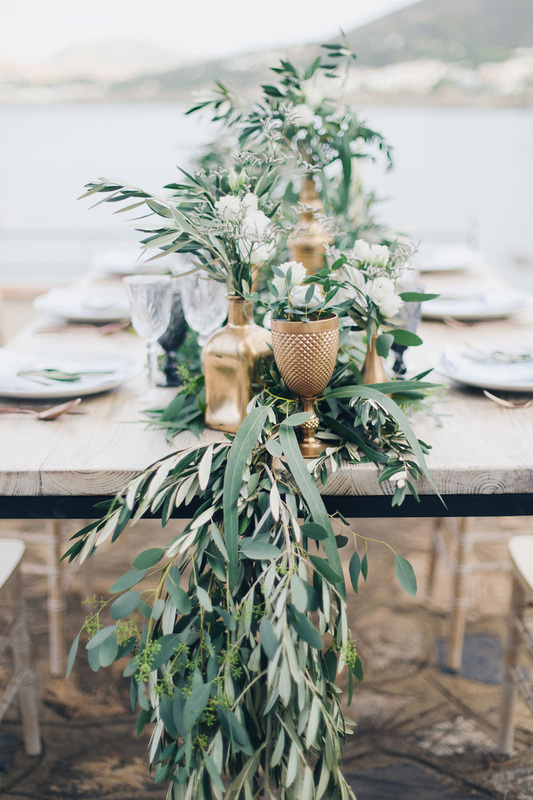 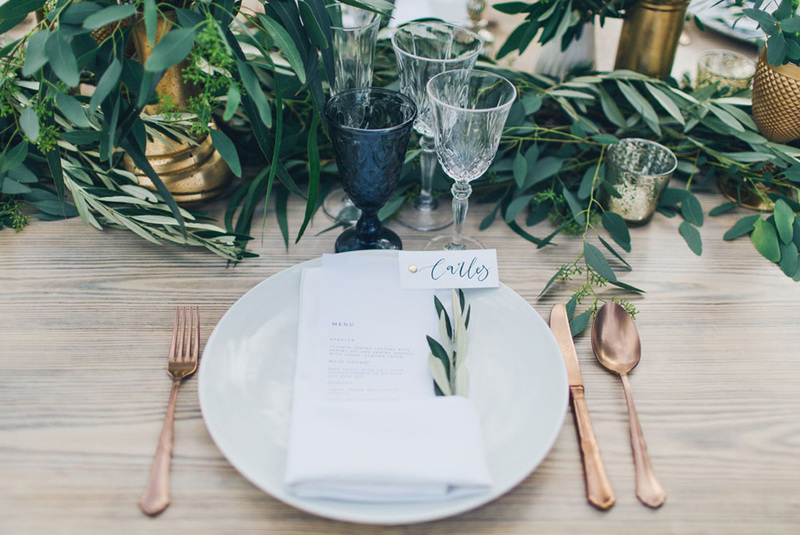 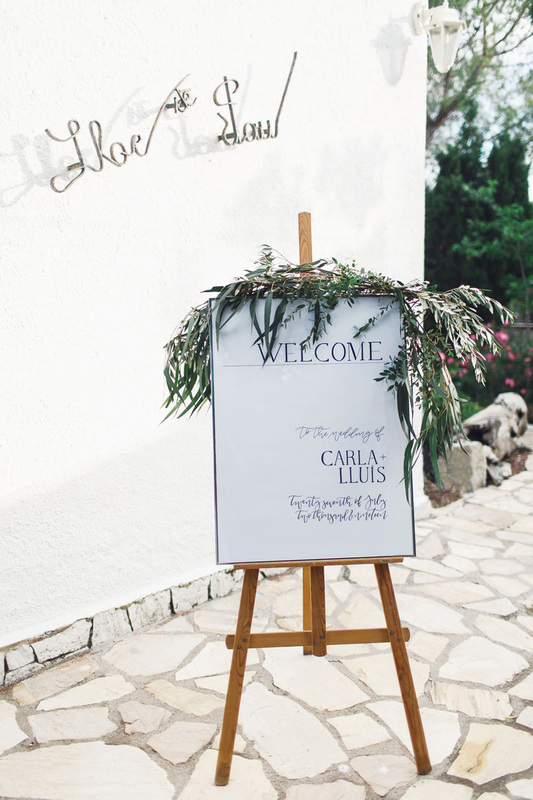 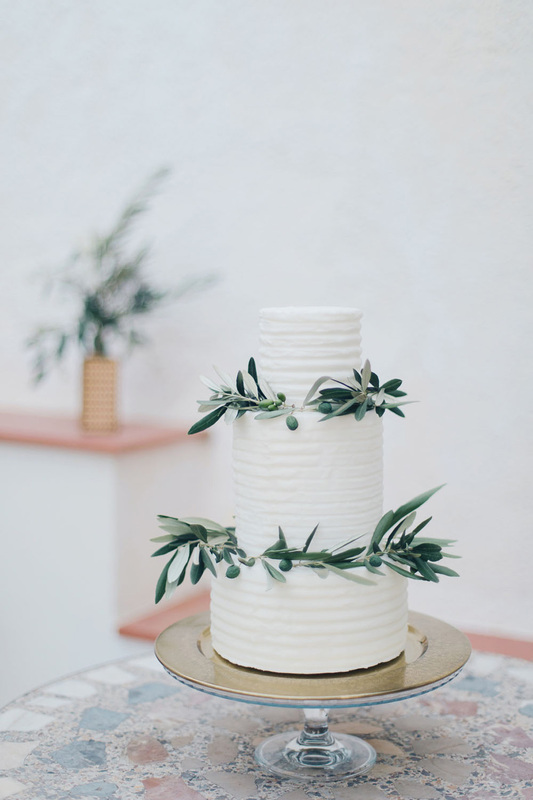 Inspired by the olive tree, and olive branches – garlands were used throughout all elements from the tablescape, to the cake, the hair, the welcome sign, the bar trolley and of course the bouquet. 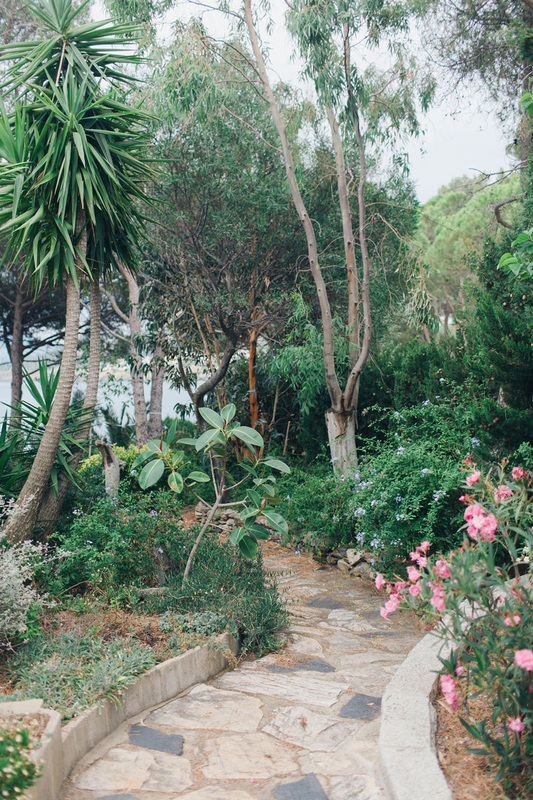 We wanted everything to remain very natural and organic, letting the different shades of green in the lush garden do most of the talking. Thus, the colour palette was a clean black, white and olive green with some golden touches added to the stationery by Ever After Paperie and tablescape to maintain an element of luxury. 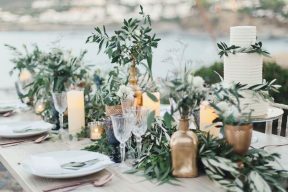 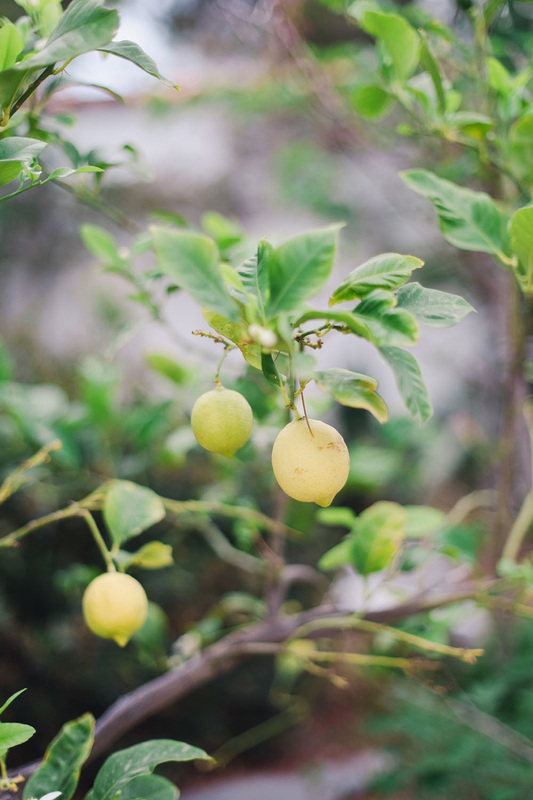 The setting was stunning, it really was a beautiful, lush, Mediterranean garden filled with olive, pine and eucalyptus trees, lemon bushes and various colourful flowers and cacti. 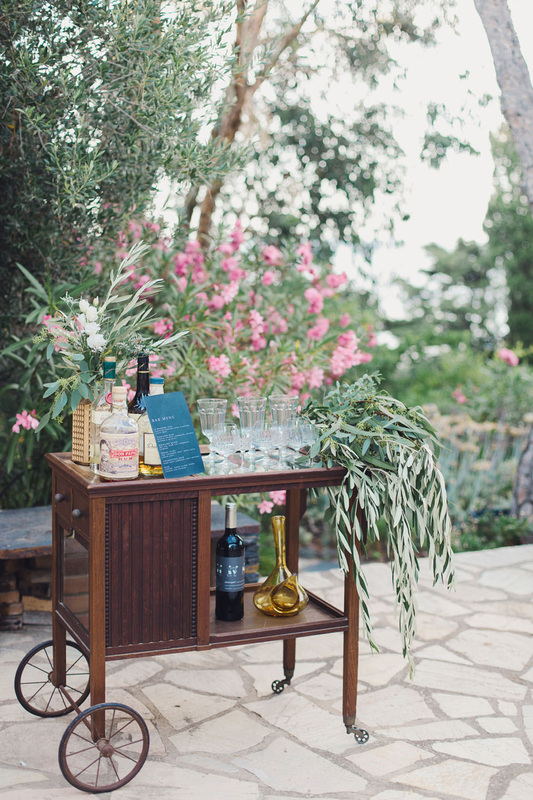 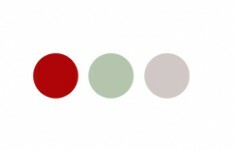 inspiration board #7: anyone for pimms?